During the busy days and weeks we’re living in it’s easy to forget there is more to life than just work. Life should be an adventure, enjoyable and rewarding, that’s why we’re pleased to introduce the Freeway Gold Mine. Nothing quite like a lump of gold however it’s extraction from the earth is not very straight forward and is pretty fascinating. A majority of the world’s gold comes from open pit or underground mines where each ton of ore that is collected may only contain a tenth of an ounce of gold. Once the ore has been collected it then has to be put through an extensive process for the gold to be extracted. Why the Freeway Gold Mine? The Freeway Gold Mine is here to simplify the gold mining experience for you but still deliver the excitement of collecting and trading with the gold, and of course without having to do any extra hard work. 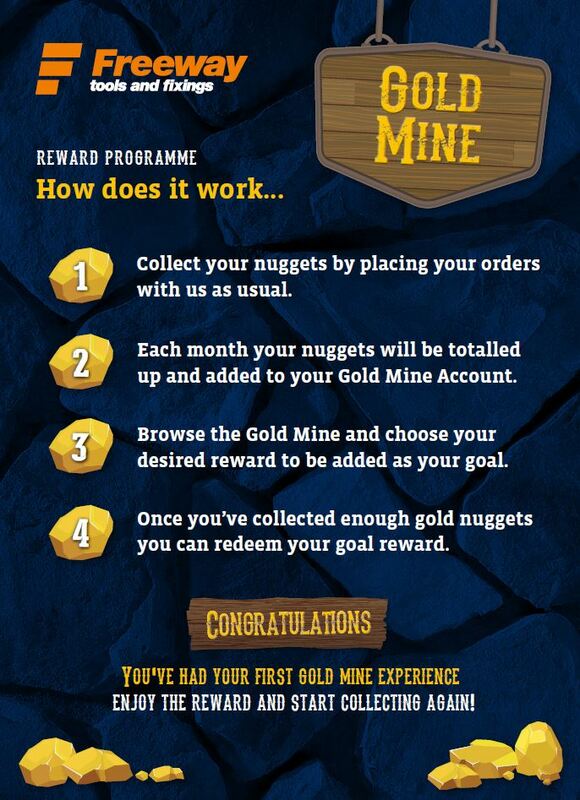 As a thank you for your loyalty every £1 you spend with us you’ll get a gold nugget added to your gold cart. You can then keep collecting until you have enough gold nuggets to trade with a reward of your choice from within the Freeway Gold Mine. Now that’s a much easier way of gold mining! How do I get mining? We trust you enjoy the experience and look forward to continuing to work with you to keep filling up your cart with those gold nuggets.